The Pet Shop Insider: "Littlest Pet Shop: Little Pets, Big Adventures" Contest Giveaway! 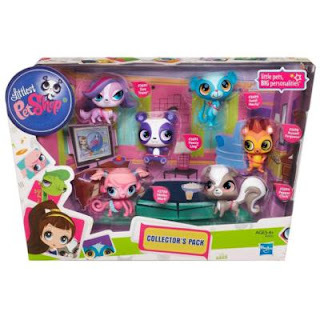 "Littlest Pet Shop: Little Pets, Big Adventures" Contest Giveaway! Didn't think we had connections in high places, did ya? Well...now we do! As we've announced before, Hasbro Studios will be releasing its first ever LPS DVD, "Littlest Pet Shop: Little Pets, Big Adventures", on January 15, which is next Tuesday. Now we here at "The Pet Shop Insider" have teamed up with Hasbro and Shout! Factory to give away 5 BIG PRIZES to 5 lucky winners for our first contest giveaway! Want to know how to enter? Info on the contest giveaway after the break! We've started our own Facebook page! That's right! Now you can receive all the latest updates on everything we post here, from Drawfriends to YouTube episode uploads to revealed episode synopses! But we need your "Likes"! If you "Like" our Facebook page, you will automatically be entered into the contest and be eligible to win. That's all you have to do! Next week, we will randomly select 5 winners, and message each winner with the details on how to receive their prize! The contest runs from Wednesday, January 9, at 12:00am PST to Monday, January 14, at 11:59pm PST. Of course our Facebook page will be up and running and able to be "Liked" after next Monday, but, to be able to participate in our contest giveaway, your "Like" must be in by next Monday night. Also, if you wish to "Like" our page, but have no interest in the contest, please "Like" our page and then post on our wall or send us a message saying that you are NOT interested in the contest. That's all you need to know! Click here to be taken to our Facebook page! *No purchase necessary. Limit ONE (1) entry per person per family. If an entrant is under 18 years of age, the entrant MUST have the permission of his/her parent or legal guardian. By entering, you consent that you will privately release to "The Pet Shop Insider" and Hasbro, Inc. the address that you would like your prize to be mailed to if you are chosen. Neither "The Pet Shop Insider", Hasbro, Inc., nor Shout! Factory, nor any other affiliates, are responsible for any injuries, liability, losses and damages of any kind to persons, including death, or property resulting, in whole or in part, directly or indirectly, from entrant’s participation in the contest or the acceptance, possession, use or misuse of any awarded prize. If you accept a prize, you may be asked to send "The Pet Shop Insider" a picture of yourself with your received prize. If you do send a picture, you agree to give "The Pet Shop Insider" consent to publish the photo on their website and/or Facebook page. Also, Pepper Clark is best pet. Any attempt to deliberately undermine the legitimate operation of the contest and should such an attempt be made, then "The Pet Shop Insider", Hasbro, Inc., and Shout! Factory reserve the right in its sole discretion to deny sending this person his/her prize. By entering, you must consent to these previously-mentioned Terms & Conditions as well as the instructions listed above. I can't believe anyone would like the Facebook page and not want the prize. That's counter-intuitive, isn't it? And how did you get such high connections? Is Hasbro just so eager to promote this show that they actively sought out a fan site for it? And again I ask, why didn't this sort of thing (a fan site with lots of internet attention) happen to Pound Puppies? That's a good show, too! Okay, okay, you guys win. I'm booting up Facebook for the first time in ages just so I can participate in this contest. Also, I just read the Terms & Agreements all the way through and I SEE WHAT YOU DID THERE. I used to be worried that something copyright-related would threaten this site, but now it has official approval? I forgot how nice Hasbro is to its fans! Why would it be taken down? There is nothing that copy rightable.